As the largest residential boiler installer in Northeast Ohio, it’s always boiler season at Verne & Ellsworth Hann. The photo taken in our warehouse is typical of what we install in a 10-day work period — in August! For other companies that install boilers this may represent what they install in one year. But because we have installation down to a sweet science, we are the preferred contractor of choice for people living in Cleveland Heights, Shaker Heights, South Euclid and Lyndhurst. We’ve even installed boilers and UNICO systems over in Lakewood, Ohio. Our fully stocked warehouse at 2026 Lee Road in Cleveland Heights allows us to install hot water and steam boilers without any down time running around town for “just one more fitting”. 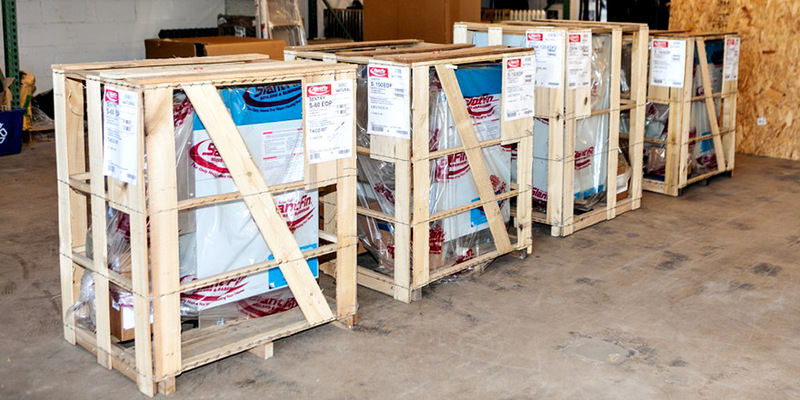 Our warehouse stock enables us to install up to three boilers in any given week. This scenario is not untypical during the prime heating season starting in October and Lasting until March. But the fact of the matter is, Verne & Ellsworth Hann installs boilers year round. It’s not uncommon for one of our install teams to be installing a steam boiler on a 90° day in August while on the same day another install team is finishing up a Unico high velocity whole house air conditioning system across the street. While we have boiler installation down to a science, when it comes to the unique homes built in Cleveland Heights, Shaker Heights and University Heights, getting the new boiler into these homes can be an art. In the larger homes in these areas, the boiler systems were lowered into the basement section by section before the entire house was built. Back in the early 19th century, carpenters, pipe fitters, plumbers and boiler installers all worked in concert. So, you can imagine the creative effort required to install a new boiler in an old home. The piping needs to be carefully engineered and not only work effortlessly with the newer equipment, but quite often our skill set is needed to overcome heating problems that have been lingering for decades. Add into that mix that the new boiler has to be navigated down old wood or masonry steps. Sometimes with literally just inches to spare. And we have never failed to deliver a boiler that is hundreds of pounds and takes a team of four or five workers to its point of installation without nary a scratch on its jacket. ‘Tis the season . . . for boilers. Year round. So, if you’re in the market for a hot water or steam boiler don’t wait until you think the season isn’t here yet. The boiler season is always here for Verne & Ellsworth Hann. Give us a call 216-932-9755. And if you’re not in the market for a steam or hot water boiler, maybe you know a friend, relative or neighbor who needs a reputable heating contractor. 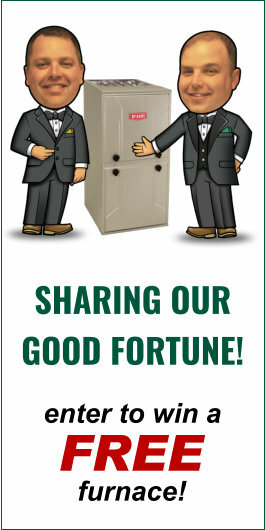 We’d be glad to make their acquaintance.